The building in the back ground is Pikes Lane School, it was knocked down in the late 90s. I went there in 70s to 80s my headmaster then was called Mr Reynard. And the bowling green became the school play ground until it got demolished. In the 30’s this was Board Street School, Pikes Lane was the infants further away. My Grandfather kept the Gilnow Arms ( little alehouse) two doors away (there was a doctor’s surgery inbetween). 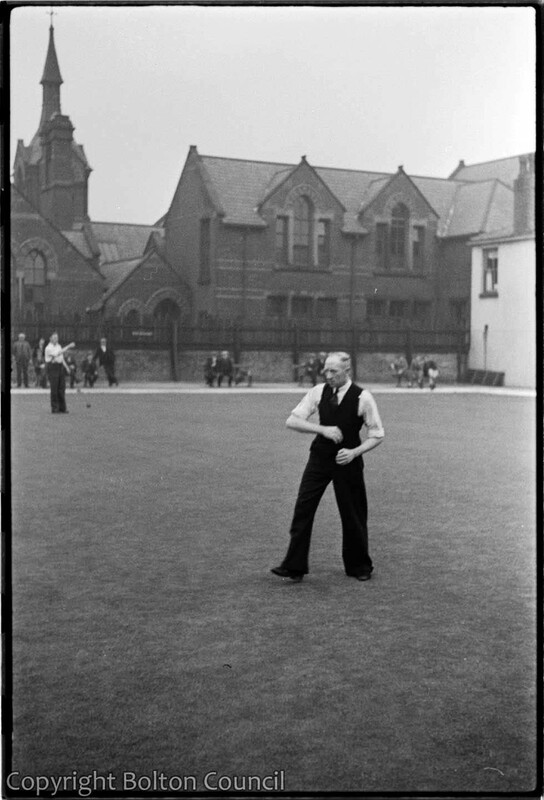 My job as a child was to sit at the bedroom window that overlooked the bowling green, and shout downstairs when there was a break and my Dad started pulling pints for the rush from the green. Grandma did roasts and made barmcake butties as well. Very busy times.